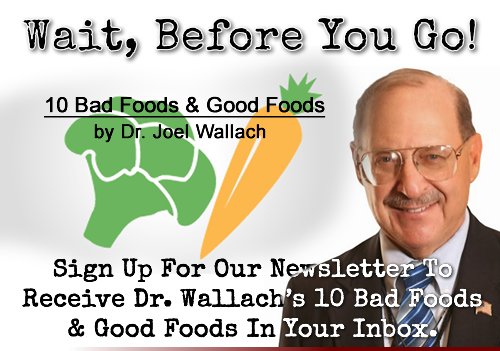 Dr. Joel Wallach begins the show discussing his CDs "Exercise Without Supplementation Is Suicide" and "Dead Athletes Don't Lie". Contending that people who sweat are not losing just water. Instead they are sweating out a soup of nutrients. If these nutrients are not replaced through suppelementation health challenges will occur. Doug Winfrey and Dr. Wallach discuss a news article about CT scans. Studies have found that a single CT scan increases a persons risk of cancer by %24. That percentage can increase to as much as %35 after multiple scans. An abdominal scan gives a person 30 times the amout of radiation of what a person is exposed to from natural background radiation. Joe's has questions about fertility as he an his wife are trying to conceive. Merriam has been diagnosed as having anemia. Dave asks Doc's opinion of parasites that people are contracting from wolves. Kat has a cyst on her breast that has ruptured and is leaking fluid. Dr. Joel Wallach begins the show discussing diseases that MDs call genetic. Stating that there are no genetic disease states. Outlining several common health challenges and stating that they are due to nutritional deficiencies. Stating that mother was missing nutrients one nutrient or another that lead to the embryo not forming properly. Contending that everyone should be supplementing with all 90 essential nutrients. Doug Winfrey and Dr. Wallach discuss a news article about milk thistle. This herb that some states like California and Washington have deemed a noxious weed. Milk thistle has been used as a herbal medicine for over 2000 years. It's active compound silymarin has beneficial effects such as liver protection, as an antioxidant, antiviral and anti-inflammatory properties. Used to treat OCD (obsessive compulsive disorder), hepatitis C, prostate cancer, rosacea and inflammation. Mike has been diagnosed with atrial fibrillation. Sue has a friend with sciatica and spondilitis. Madrew has a friend diagnosed with liver cancer. David has been diagnosed with glaucoma and deep vein thrombosis behind his knee.